If the item is on discount price, the coupon code will not take any effect. I've bought the Blue KD buckle v6 ChibiM mentions in the first post and was surprised how good it was for $5. The BLF code can be used too, which brings the price down to $4.75. They also have a set of 4 for $20 or $19 with the coupon. I use it with an Ultrafire 10440 Lion. The torch came with lube on the threads and is very good quality. Has a noticeable hotspot with good spill.Runtime with a 10440 is about 25 minutes. Really nice product for the price. I'd recommend it to anyone wanting a small AAA/10440 torch with good brightness. Mine didn't come with a buckle. UranusFire C818 Cree XM-L2 U2 1000 Lumens 3-Mode LED Flashlight – Black $24.91 $23.66 after BLF discount. I couldn’t resist the little red AAA light at $4.75. If that order works well I will start to put this company on my safe list! If you’re referring to the KD buckle v6, I think you’ll be very pleased as it’s great value. I have one and use it with a 10440 battery. 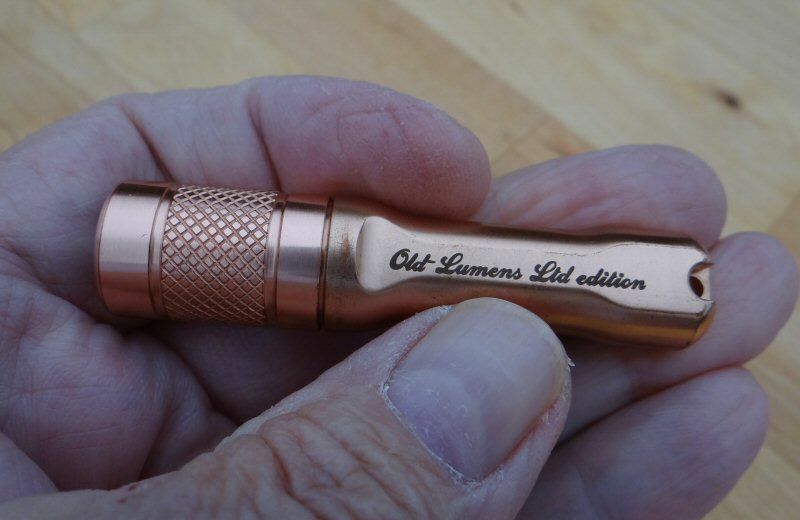 The brightness is very usable and surprisingly bright for such a small flashlight. I haven’t checked with a light meter but I’d guess it as around 100-120 Lumens with the 10440. KD used to be very popular in the past but as other sellers appeared they were almost totally forgotten about. I’ve not had any bad experiences with KD with the few purchases I’ve had with them. One annoying aspect of their site is the searching feature and also their habit of leaving old out of stock items still listed. Would that be White Cool? Interesting pattern that apparently describes how the driver works, anyone recognize that? Yes, KD Buckle V6 is a small flashlight of excellent quality. Hank, WC reffer to tint bin. We will keep adding different size of Base Plate to fulfill all your needs. Can't wait till the new C8 comes out with XP-L HI! Yes. New C8 with XP-L HI will release soon. It is very strange for i am adding the same searching link for this two hyperlink. Another once has the problem (Link with text). And i will cancel it. I would buy some of those XPL HI's, accept for the price - your pricing is just too high. You have some really strange prices on LED's. You sell a XM-L2 T6 4500K, I assume it's a 4C or 4D here: http://www.kaidomain.com/product/details.S021773 for a ridiculous price of $10.23 (and unknown bin: 4C or 4D makes a difference! ), where I can get them under $5 at several other places. But your MT-G2 prices are quite good, while the XHP-50 prices seem to be good/average. Also for us here, having these high quality CREE LED's mounted on cheap aluminum stars, or non-DTP copper is a total waste. I suppose you sell some, but for me, I would have to first reflow the LED off of the star before I can use it. We pretty much use Noctigons, SinkPAD's or MaxToch DTP's exclusively. +1 Sell just the LED or get some stock of Noctigons, Sinkpads and Maxtoch mcpcbs. @BanL - you need to talk to your people and see why pricing is so erratic. Some of your pricing is close to other sellers and some is very high. It does not seem to make sense to us. I have noticed this on LED pricing and in other areas too. It is confusing for us. The other thing that really is upsetting for me, is your lack of updating the website. There are many items that have been "SOLD OUT" for years and no one has ever removed the items from the website. If you were to remove all of the hundreds of items that you will never stock again, the site would load faster and results from searches would be much more accurate. Also, you continue to charge crazy high prices for some things that no one is ever going to buy, like P7 leds. I do like buying from KD, but when your pricing is so erratic and different from other sellers and your "sold out" items just stay there year after year, it screams lack of knowledge or lack of concern from someone in your organization. I'll take one. C2, C8, or C12 with XP-L HI. How long? I want at least 90kcd in my jacket pocket! 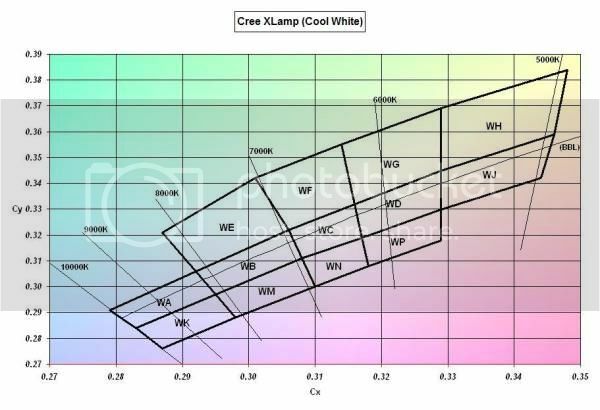 Cree XP-L HI V2 0B 6500K LED is arrived KD :bigsmile: !http://manager.kaidomain.com/UploadFiles/635713143539583466_med.jpg!:htt... We will keep adding different size of Base Plate to fulfill all your needs. BanL - this I believe is mis-leading. It's actually a 1C tint at 6500K, not 0B as you are implying. Check the CREE label carefully, as you have a picture of on your web page. Can we get a AA sized KD buckle V6 arround the same price point? . I would buy several!!! Can you tell me if you still have any of these 50mm coated lenses in stock? I believe this might be an old link, but it still works. But, I can’t find anything when doing a search on 50mm lens. Thank you. Thanks for the code, BanL. Not exactly according to the description on the site, but consistent with the video. So in fact, it is a 17-mode driver with a 10 second beacon thrown in. These are perfect for bicycle tail lights!